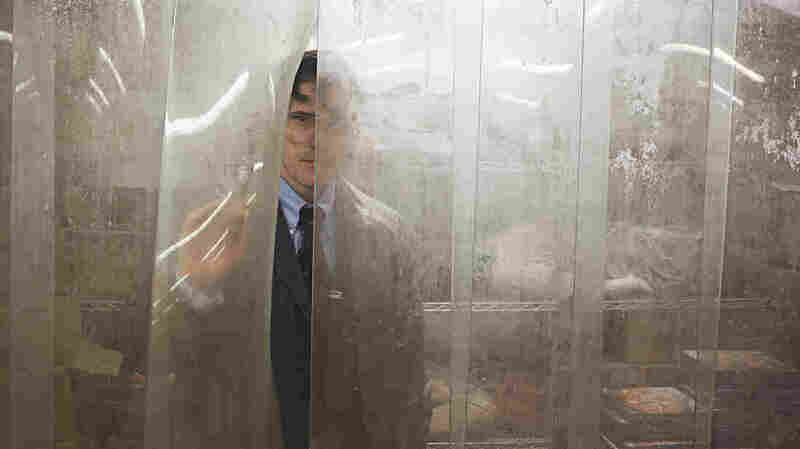 In Grisly, Sadistic 'The House That Jack Built,' Lars von Trier Deconstructs Himself This uber-violent film about a remorseless serial killer (Matt Dillon) requires an iron stomach, but it's a "thoughtful, honest onscreen meditation on morality and personal culpability." Lars von Trier has danced with the devil for most of his directing career, making films that embrace the worst in human nature. But in The House That Jack Built, the devil finally becomes him. This is a serial-killer movie that's also a personal confessional, centered on a man who fancies himself an artist but can't seem (or doesn't want) to understand the difference between creation and destruction. It's a real piece of work, and it's often genuinely upsetting, but von Trier's taboo-bursting noisemaker is as brilliant as it is ghoulish. The killer, Jack, is an American, played by Matt Dillon in a chilling, Anthony Perkins-esque performance that will make it impossible to see the actor as anyone but a psychopath from now on. Well-read and often affable, Jack once dreamt of being an architect (hence the title). But his true passions are his murders, and for much of the film he is either murdering, about to murder, justifying murder, or fashioning grotesque corpse tableaus worthy of the Marquis de Sade. The film itself is there to challenge Jack, in the form of his unseen companion Verge (Bruno Ganz), who's sort of a combined therapist/interrogator with his own ideas about where true art comes from. "Don't believe you're going to tell me something I haven't heard before," Verge says at the outset. But he's not speaking for the rest of us. Jack recounts his story to Verge in five "incidents," encounters that tend to arrive at the same grisly ending but proceed in wildly different fashions befitting this poster child for unreliable narrators. He talks with a mixture of clinical description of his "craft" and bemusement that the world has allowed him to get away with so much for so long. In the first chapter, for example, Uma Thurman plays a high-class woman with car trouble who ropes an unwilling Jack into helping her, tells him he looks like a serial killer, then mocks him mercilessly until he makes good on his resemblance. Jack had no choice, he claims. Verge isn't buying it. In fact, he protests a great deal of Jack's worldview, including why so many of his victims are women. This is not the movie for gorehounds chasing guiltless bloodletting. The film progresses with this mixture of extreme violence and extreme introspection, upping the ante in ways that are often darkly funny. Jack makes a pathetic attempt to impersonate a police officer ("my badge is at the station because they're giving me a promotion"), and then his obsessive-compulsive disorder prevents him from fleeing his own crime scene. Later, when he's provided every possible opening for his capture, a rainstorm arrives to wash away the trail of blood leading to his corpse warehouse, allowing him to kill again. Jack won't get caught, no matter how badly he wants to be, because God and this director have other plans for him. It's familiar enough territory for von Trier die-hards, who have grown accustomed to the Danish filmmaker's whole deal: episodic storytelling; standoffish relationship with therapy; embrace of shock imagery; and weirdly jaunty nihilism. There's a lot of Nymphomaniac here, and more than a little Antichrist, in both the structure and decidedly anti-naturalistic tone. And the cocktail of vibrant montages, handheld footage, David Bowie needle drops, and provocative digressions (ranging from Bob Dylan references to footage of real historical atrocities) insulates Jack from accusations the filmmaker is just phoning it in for attention. One view of the movie is to just say that it's a commentary on the modern world's indifference to evil. "Nobody wants to help!" Jack yells out of an open window as he prepares to slaughter a girlfriend-turned-victim; another sequence where he hunts a single mother and her children feels like a John Waters nightmare vision of an American family. But Jack also morphs into a bleak admission from von Trier that darkness is all he has left to offer as a filmmaker and a human, that he has chosen to ostracize himself from polite society, and that he must choose to either reckon with his worst impulses or go insane. The director's own work and deeds have made him a film-industry pariah, and there are good arguments for it: his Nazi-baiting press conferences, allegations of on-set abusive behavior from some of his lead actresses, or simply the fact that so many audiences find his films sadistic. Then there's his severe depression: Amid public calls for greater mental health visibility, it's worth remembering von Trier is one of the few filmmakers alive addressing personal mental illness in such a brutally honest way. Altogether, it's no wonder he might portray himself as an irredeemable monster. That hasn't stopped the flow of anger. In the movie, Jack is so desperate for notoriety that he fashions a media alter ego for himself as "Mr. Sophistication," a sort of quaint throwback to make serial killers great again. In real life, Jack has already attained plenty of notoriety. Its graphic violence and seemingly blithe attitude toward human existence drove away half the audience at its Cannes Film Festival premiere this May. And many of those who stuck around, even ones who'd survived past von Trier outrages, called Jack something along the lines of... well, "vile," "useless garbage," "toxic trash." Distributor IFC's plans to release the original film alongside a marginally less objectionable, R-rated cut recently met the ire of the MPAA, worried the two different versions might "create confusion among parents." It's best, then, for each viewer to assess on their own whether they want to spend this much time with Jack. An iron-lined stomach is essential, as is past familiarity with von Trier's works (the film literally references them at certain points). But the reward is one of the most thoughtful, honest onscreen meditations on morality and personal culpability in quite some time. Jack's fate in the final sequence, apart from being elegantly scripted and gorgeously shot, is also thoroughly... satisfying. Given all that he's subjected us to, this is a worthy prize to find within his house of the damned. NOTE: The House That Jack Built is being released in two versions. The R-rated "theatrical cut" comes to theaters and VOD this weekend, but IFC did not provide advanced screeners for it. This review is based on the unrated "director's cut," which has already played in special screenings and will be made available in 2019. It's about four minutes longer than the R-rated version.